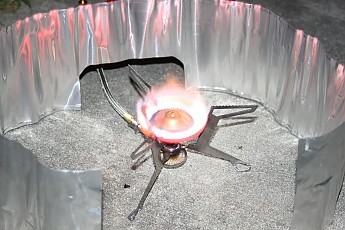 The WhisperLite Universal replaced the MSR Multi Fuel Stove. Finally here is a true multi-fuel (MSR calls it a hybrid) stove that burns both liquid fuels and canister gas (upright or inverted). Not only does it burn these fuels, but it does it well — plus it simmers...no it really does! In just a couple minutes the stove can be configured to burn the various fuels (see below) by simply changing a couple parts using the supplied tool. This is a great option for anyone who wants a stove that can be used year round in multiple climates, with multiple fuels. For groups it allows flexibility through the use of multiple fuels — or for those who travel abroad to places where some fuels may be harder to get or if it's not clear what fuels will be available. Will not support pots smaller than 4 ¼ in. or 11 cm. in diameter. I received this stove from Cascade Designs for testing and used it on five separate outings as well as a lot of testing at home. The stove arrived in a nice looking cardboard package (see photos), it included the stove, all parts for changing fuel types, pressure pump for liquid fuel bottles, canister stand, wind screen and ground protector, a nice stuff sack, and full instructions in three languages (three separate booklets) plus a quick reference guide in two languages, along with warnings etc. The cardboard box the stove came in has a chart printed on top that lists the burn time of each fuel per 20 oz —boil times for one liter of water — the amount of water boiled per oz (and 100 ml) of fuel — plus the stoves weight in different configurations. Inside was a black stuff sack containing all the parts. Since the stove has multiple small parts (3 jets, O rings, jet and line tool, etc) MSR has included a small zippered pouch sewn inside the stuff sack for storing these parts so they do not get lost at your campsite or in the back of the car. This stove is different than my old Whisperlite, the new Whisperlite Universal has three flat stainless steel legs instead of the three wire legs many of the other MSR stoves have. The stove stands 3 5/8 in ( 9.13 cm) from the ground to the top of the pot supports. The outside diameter of the pot supports is 7.5 in (19.05 cm) and the inside diameter is 3 ½ in (8.89 cm). This means that pots smaller than about 4 ¼ in (10.79 cm) will not fit this stove without some type of modification or diffuser plate. The burner design is slightly different too, plus removal of the burner head requires an allen wrench (not included), but that should rarely be required and not something I would worry about while using the stove in the field. Throw one in the bag if you want it in size 1/8 in. The fuel line is longer than my older MSR stoves, it is also stiffer with a threaded end and double O rings. Included are two fuel adapters that screw onto the end of the fuel line along with three jets that screw into the other end of the fuel line (generator tube end), a shaker needle, extra O rings, and a handy field wrench (jet and cable tool). 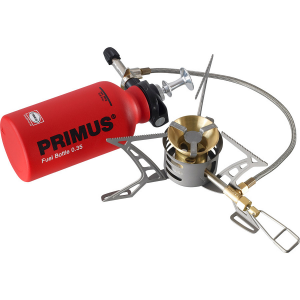 The stove comes with a fuel pump and pump cup oil for standard MSR fuel bottles as well as a stand for holding canisters in an inverted position. Fuel bottle and canister not included. The instructions in the stove I tested came as three booklets (3 languages) that unfolded into a large sheet with nice diagrams and step by step directions divided into two main sections — one section for liquid fuels, and the other section for canister gas. There was also a small quick reference guide with numbered step by step instructions for configuring the stove to use different fuel types, no illustrations and the print was small. 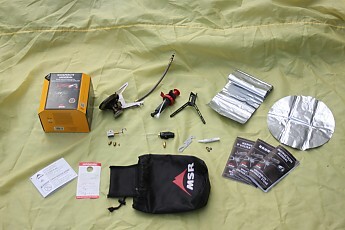 You also get an aluminum windscreen and ground protector along with a nice stuff sack. Since the MSR Whisperlite Universal can be configured to run multiple fuels it comes with the necessary adapters and jets to do so. 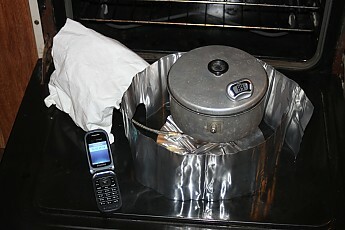 I weighed the entire stove (all contents in the stuff sack) including all instructions, it weighed 559 g or 19.72 oz. — maximum weight. This is quite heavy, however if you are only going to be using canister fuel on a given trip you can leave a lot of things at home cutting down on the pack weight of the stove. For canister use you would not need to bring the fuel pump, liquid fuel adapter, liquid fuel jets, shaker needle, or pump cup oil. Also once you learn how to use the stove and how to configure the stove for the different fuels you can leave the instruction booklet at home, carrying only the quick reference guide! Leaving the liquid fuel parts and instruction booklets at home saves 5.4 oz (153 g). At a minimum I recommend you carry the quick reference guide and only leave the instruction booklet home after adequate practice using and learning the stove. 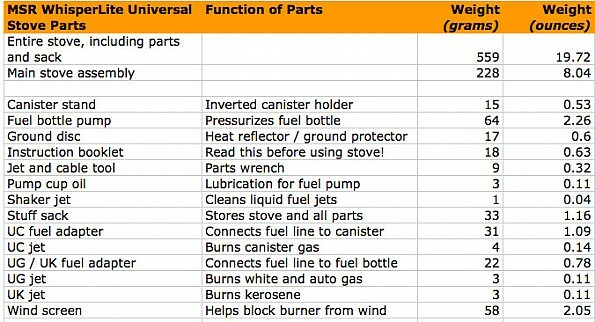 I have included a chart that lists the weights of all the stove parts so you can determine what the pack weight of the stove would be based on what parts of the stove you carried. The weight of the stove (stove, jet, and adapter only) when configured to burn liquid fuel is 254 g (8.96 oz). The weight when configured to burn canister gas (stove, jet, and adapter only) is 264 g (9.31 oz). I tested this stove at home under fairly controlled conditions to establish a base line for boil times of one liter of water. For each test I used the same aluminum pot with lid measuring 7 in. (17.78 cm) in diameter and 3 in. (7.62 cm) in height. The lid has a small hole drilled in it to allow a thermometer to be placed inside so I know exactly when I reach a boil. Parameters for testing can be found in the footnotes below. Here is a chart showing the boil times I achieved. All the boil times I got were in line with the ones listed by MSR on their website. However, I did not see a boil time listed on their website for an inverted canister in sub freezing temps. For this particular test I placed a new canister in my freezer for one hour at 18 degrees F. (-7.78 C). I then followed the instructions to use the stove with an inverted canister. In order to simulate freezing air temps I wrapped a frozen cold pack (the 'first aid' kind) around the canister for the entire test. As you can see from the chart my boil time was 7 minutes 13 seconds. I also had a hard time getting the flame adjuster valve to turn completely off, it was stiff (cold I think). I did not have a problem with the valve using canisters at room temps. I think this was a fairly brutal test and there are several tricks to warm canisters during use in these conditions — I purposefully did the opposite. The frozen inverted gas canister test using a frozen cold pack on the canister. I tested the stove on five trips, three of these were backpacking trips on the Palmetto Trail in South Carolina. 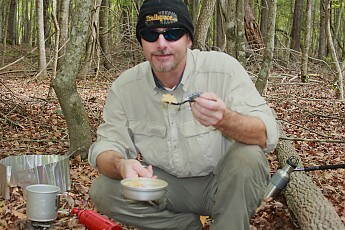 Here I am eating a late supper cooked on the MSR Universal after setting up camp. I did not track boil times in the field, there are just too many variables like air temp, wind chill, water temp, fuel pressure, etc. I will say the stove performed well and the windscreen did its job. Grabbing the black stuff sack the stove comes in you notice it has a nice drawstring and cord lock plus a zippered pouch sewn inside the sack for storage of the extra parts the stove comes with, this works very well as long as you make sure the parts are in it and it's zipped. I am glad they added this. Having used MSR Whisperlites and Simmerlites for many years, as well as various canister stoves I felt fairly at home with this stove once I read the instructions and practiced configuring the stove from canister gas mode to liquid fuel mode a few times. The stove came configured for canister gas. Configuring the stove is not a difficult process and even a newbie should get the hang of it fairly quickly by following the instructions. I found the instructions to be well written and illustrated. If you want to configure the stove for liquid fuel you just follow the instructions in the left column, if you want canister gas you follow the instructions in the right column, very simple. You only have to do this if you are going to change fuel types, liquid to canister or vice versa. It is not something you must do each time you use the stove. I would recommend that if you have any questions or don't understand something you should contact MSR. Their phone number and web address is included with the stove instructions. It has been my experience that they have good customer service. Install the correct JET in the stove's fuel line for the fuel type you have selected to burn. 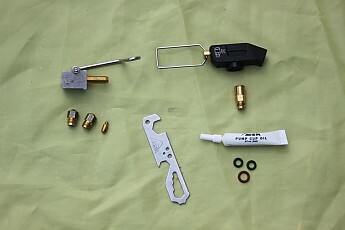 Install the corresponding FUEL ADAPTER onto the other end of fuel line and attach either a fuel bottle or a canister. 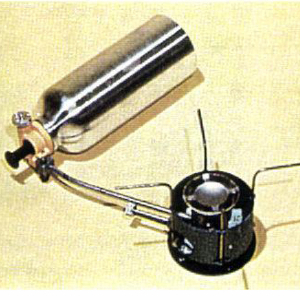 Photo shows the liquid fuel adapter, jets, and needle shaker on the left — the canister adapter and jet on the right. Jet and cable tool (metal wrench) - pump cup oil - extra O-rings. I found this takes about two minutes and is easily done with the JET & CABLE TOOL provided I did not over tighten these threaded connections the last time I swapped parts out. The Jet & Cable Tool is a small, thin, metal wrench (see photo above) that requires a little dexterity to use. Even though I tested the stove in mild temps I took along a pair of heavy wool gloves to test dexterity issues in configuring the stove. I found that screwing the fuel adapter onto the fuel line was do-able with gloves on, but screwing a different jet into the fuel line with my gloved fingertips was difficult and much easier done with bare fingers. These parts should easily thread into place by hand. If you feel resistance, stop and make sure you did not cross thread them, especially the jets. After starting them by hand use the Jet & Cable Tool to snug up the fitting. Also when using liquid fuels be careful not to lose the shaker needle that goes inside the UG and UK jets, it is small. Next you attach either a fuel bottle with pump, or gas canister to the fuel line, then while holding the stove in one hand use the other hand to rotate the legs into position, and then set the stove on level ground. The fuel line is stiff and I found that re-positioning the fuel bottle or canister tends to move the stove around unless you have a pot full of water or food on the stove. So I would suggest getting the stove set up and arranged the way you want it before lighting the stove. As noted above in the description, the stove's pot supports did not accommodate pots smaller than 4 ¼" in diameter. My Snow Peak 900 barely sat on the stove without tipping, although do-able. The Snow Peak 1400 and MSR Alpine set work just fine as would any similarly sized pot. At home I placed a large stock pot full of water on the stove outside in the grass just to see how stable the stove was, I was well pleased and would not hesitate to use a large pot on this stove. The one caveat is that the stove (any stove) is only as stable as the ground you place it on. I had no problems with the fuel pump and I do like it better than my old style pump. I found 25 strokes to be adequate for initial pressurization. The beauty of liquid fuels like white gas is that white gas can effectively be used way below freezing as well as at high altitude where canisters become problematic. It is also cheaper than canister gas. This gives you a fuel option that is very versatile and affordable. The downside is that the stove must be primed (preheating the fuel line) to vaporize the liquid fuel so it enters the burner as a gas. This is not hard, but requires a little practice and is explained in the instructions. During field testing I ran the stove full blast on all fuels and had no problems, although the kerosene was a bit sooty. Burning kerosene can clog up the jet and leave deposits in the fuel line. If this happens the cleaning procedure is in the stove maintenance section of the instructions. I went through the procedure and it took about fifteen minutes. Photo shows kerosene on full blast. I also tried to get the lowest simmer with all three liquid fuels. This has been a problem with some other liquid fuel stoves I have used including the MSR Simmerlite. Simmering with the MSR Universal was a pleasant experience, by slowly turning the adjustment valve I was able to achieve a sustainable simmer. No fiddling with the bottle pressure or raising the pot off the stove to reduce heat — a real simmer! My supper one night - A big salmon patty with black beans and rice. This was cooked on a simmer. This configuration is the simplest and most user friendly for most people. You simply thread the canister onto the fuel line, open the adjustment valve and light. Flame adjustment is very easy from a low simmer to a full burn. The fuel in a gas canister is actually in the liquid state so when using the canister in the upright position the liquid fuel vaporizes into a gas before entering the fuel line as the valve is opened. This works best in temps well above freezing although there are some tricks to warm the fuel around the freezing mark. The stove comes with a black plastic canister stand that securely holds a canister in the inverted position (see photo at top of page) by snapping onto the canister fuel adapter. I did this multiple times during testing and had no problems with the stand or inverting canisters. So you may be wondering why you would want to invert the canister, I will try to keep this simple. As mentioned above, the fuel in a gas canister is actually in the liquid state, this is done by pressurizing the canister to compress the gas into a liquid. Straight butane vaporizes (boils) at 31.1 F (-0.5 C) so if the butane fuel reaches temps below that it does not vaporize, meaning your stove does not work. Propane is often added by manufacturers to gas canisters to improve cold temp performance. Propane vaporizes (boils) at -43.6 F (-42 C) a much lower temp. 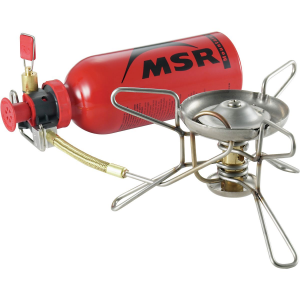 MSR IsoPro fuel canisters contain a 80/20 blend of Isobutane and Propane. Blending the fuels boosts the performance of canister gas in cold temps – to a point. In colder temps where the gas does not want to vaporize you can invert the gas canister and continue using your stove. By inverting a gas canister you convert the fuel feed from a vapor to a liquid feed by allowing the pressure in the canister to push liquid fuel from what is now the bottom of the canister. This way vaporization is not needed to push fuel into the fuel line so fuel delivery is increased in temps near or below the vaporization point. Follow the instructions. This too has its limits and may still result in long boil times in colder temps although there are tricks here also to help warm the fuel in the canister. The stove comes with an aluminum windscreen (see photos) that wraps around the stove and your pot or pan to improve the stoves performance. Simply put, the windscreen shields the stove burner and cooking pot from the wind — thus increasing heat transfer to your pot. This decreases cook time and the amount of fuel used. I recommend always using the windscreen, in windy or cold conditions it makes a huge difference. Photo shows the windscreen and heat reflector (ground disc). 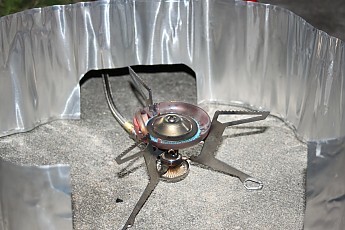 The aluminum heat reflector (often referred to as a ground disc) is intended to reflect heat back up to the pot increasing stove performance; although in testing I found it had a negligible effect. The reflector may have increasing benefit when using the stove in very cold temps and on frozen surfaces. During field testing I found the stove to be more stable when placed directly on the ground instead of the reflector because it is difficult to get the reflector which folds up for storage, to lay flat and the stove wants to slide around on the slick surface. The MSR Whisperlite Universal is the first MSR stove that burns both liquid fuel and gas canisters giving you a wide range of fuel options. The stove is on the heavy side especially if you carry the entire stove with all parts. However the stove can be carried lighter by configuring it to burn either liquid or gas and leaving the non essential parts and instruction booklet at home. The Universal is more of a group or expedition style stove especially with the fuel flexibility allowing any member of a group who has one of the fuel types to use the stove. The stove would also be great for those who travel abroad. The stove is stable and will support large pots with the stoves long pot supports, but does not work well with small or solo pots. The burner design does work better with wider pots anyway. The stove actually simmers on all fuels. This doesn't mean you can turn your back on it or run a pot dry — but it produces a true, steady, simmer. The windscreen works very well and is tall enough and long enough for plenty of adjustment. I did not like the heat reflector. I think any benefit of heat reflection by placing the stove on top of it is not worth the loss of stove stability I experienced. The instructions are well written. 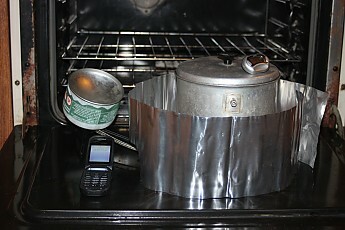 For field testing I carried the entire stove with all components and instructions on three different backpacking trips. I unpacked and completely re-packed the stove for each meal. On the first two backpacking trips I tested with liquid fuels — white gas, auto gas, and kerosene. On the third backpacking trip I carried canister fuel. 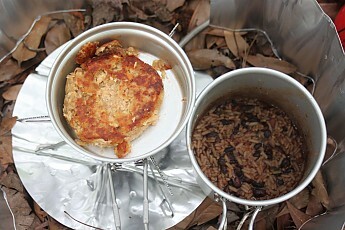 I also used the stove on two day hikes carrying the stove at minimal weight. The first hike was white gas, the second was canister. My backpacking trips were all in the Atlantic Coastal Plain on the Palmetto Trail in South Carolina. A total of 10 days. My day hikes were just below the Blue Ridge Escarpment of the Southern Appalachians on the SC / GA state line along the Chattooga River. A total of two days. Testing was done in my kitchen — not a lab. I did the best I could to control the variables and the results I got are what I listed. Inside air temps were kept at 68 – 70 degrees F (20 – 21.11 C) according to a digital thermometer kept close by on my counter top. Water for testing was stored in a large container and allowed to reach room temp. The temp of each liter was checked after being poured into the pot. Test water was measured with a one liter Nalgene bottle. After each test the stove and pot were allowed to cool completely before beginning the next test. For liquid fuels three boils were done with each liquid fuel and the times averaged. The fuel bottle was filled to the fill line at the beginning of each three boil test, and the fuel pump was pumped 25 strokes for each test. For canister tests I used an MSR IsoPro 8 oz / 227 g canister. Three consecutive boils were done with a new canister at room temp placed upright and the boil times averaged. Then three boils were done with a new canister that had been placed in my freezer and placed in the inverted position with the boil times averaged. According to my thermometer the freezer is 18 degrees F. (-7.78 C). I wrapped the inverted canister with a large cold pack out of the freezer. Altitude at my home is 41 ft. above sea level. I've read this a couple times now and keep learning something new each time. Thanks for such an in depth review Trout! I gotta tip my hat to ya my friend. This is a good, solid review ya did on the Whisper-Uni. Not much else to say other than that is the way it should be done. Very well done and very well written. Hi! You've mentioned that it can simmer. Are you referring to simmering with the canister fuel or both canister and bottle? If so, can you share how do we adjust it? I'm using MSR Dragonfly for the simmer function and I'm very much ready to ditch it if the Whisperlite Universal has that function. Great job, Mike/Trout! You've done an excellent job of being thorough and informative in your review, without overwhelming the reader with confusing numbers and jargon. Thanks! Elmer asks: "Hi! You've mentioned that it can simmer. Are you referring to simmering with the canister fuel or both canister and bottle?" Elmer, The stove will simmer on all fuels, canister gas being the easiest. I was able to achieve a simmer by just slowly adjusting the fuel control valve at the canister or fuel bottle. However, I have always found that the simmer of a gas burner is hotter than an electric hot plate for example. You can also use a diffuser plate (metal disc) under your pot to help out with temp control. thanks for the reply. this is cool! 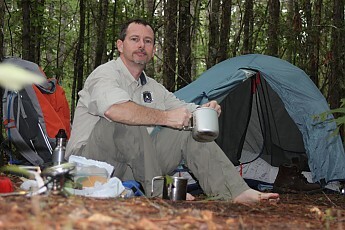 Hi Mike, Great Review, nice details about the stove and fuels. Question; Other Fuels? Is the stove rated for other fuels, i.e. Alcohol, jet fuel, truck fuel, ?? I guess as long as the canisters fit it would burn the fuel in them also. I take it that they are the screw top canisters. Fuel question is more about 3rd world use then anything else. You are a top-rate reviewer! Thanks so much for all the info. I am shopping for a new stove and this prepared me for what I need to look for. Great stove with a lot of adaptability, especially if hiking or camping with a small group of people. I grew up on a Svea 123 using gasoline, not white gas, for fuel. This stove is (I still have it) a blowtorch and never let me down when I needed it. Forty years later, the seals are dried out, it doesn't pressurize the same, and I thought it time to move into the 21st century. 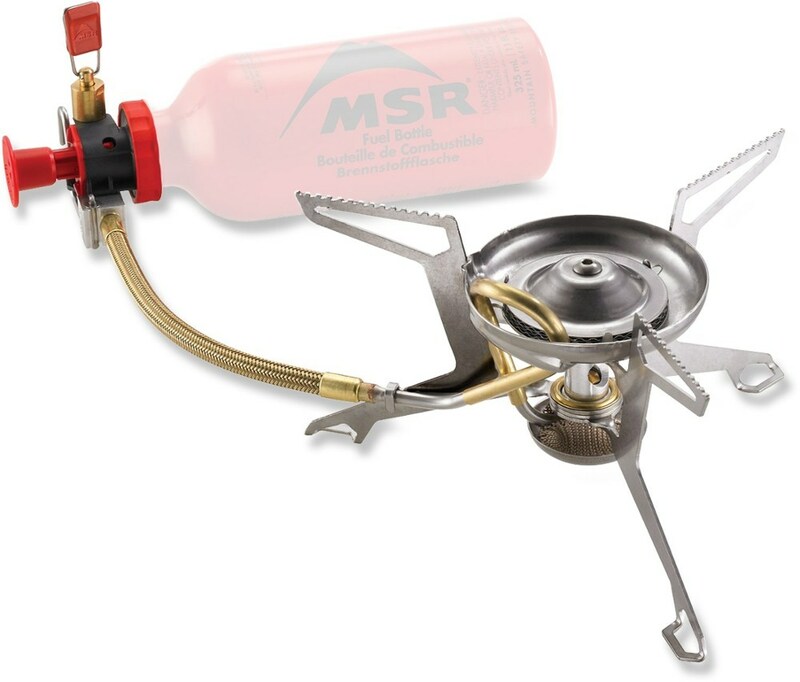 The MSR Universal Multi-fuel is the best of both worlds. I really like being able to use gasoline for my stove, it's available everywhere and cheap. Like my old Svea, I never worried about the outside temperature and whether or not my fuel canister would ice up and no longer function when I needed it the most. At the same time I have to admit that tossing on a fuel canister is rather convenient and avoids all the hassles of fuel spills, smell, funnels, etc. I've admittedly grown a bit lazy and like the simplicity. If you want a truly simple stove that packs down into a cup, then this one isn't for you. Get a PocketRocket. The Universal Multi-fuel is bigger and bulkier than what I'd want to use on a solo backpacking trip where weight truly matters. It packs down into its sack, with windshield (a piece of aluminum flashing) and other bits (jet kit, wrench) and fits nicely in a pot set like the Optimus Terra HE series. Again, however, the whole bundle is larger. The stove and accessories weight in at just under a pound. With the wind/heat shield, it take about 4 mintues for a quart to come to a rolling boil. 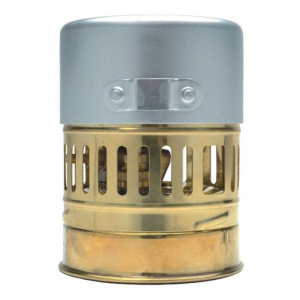 Like the other Whisperlite stoves, the burner is fully exposed so using the windshield in very cold or windy weather is a must or you'll be waiting a while for your food. As with liquid fuel stoves, there are drawbacks, mainly the mess, and this comes in the form of residual fuel in the line when disconnecting the bottle. With a little practice you can keep spills to a minimum, and it's not much fuel to begin with. I keep a small rag or paper towel in a ziplock bag with the stove so I don't have issues. Overall I really like this stove. It's not as compact as my old Svea 123 but it's more convenient. I've used it in moderate temps and in deep snow with subzero temps. No problems at all. Just bring the right fuel and you'll be happy. Nice review, dgdubya. Thanks for taking the time to share it. If you're willing to share some pictures of your stove setup, those would be great to see in your review too. Works as advertised with white gas and cannister fuels with minimal effort to switch from one to the other. Setup is easy and instructions for switching jets to facillitate use of different fuels are very good and easy to follow. White gas mode primed easily and quickly brought flame to usable level. Canister requires no priming and lit and simmered easily. Canister mode worked well in both up and upside down positions. Flame on white gas seemed adjustable to very low level without any problem. Boiled water in either mode in roughly two minutes for a cup of water. Provided wind shield works well. Stove is quite stable with pot on top, with very wide base for variety of pots. Packs flat for storage. Construction seemed solid without any obvious defects. Stove is new and I have not field tested it as of yet, but based upon my putting it through its paces on the patio, I have no reservations about using it in the field. This product is beautiful, easy to pack, looks like a water fountain and burns hot and would burn forever if you had enough fuel. lasts a long time, also the blue flame is memorizing to look at :P and you will notice slightly diff cloud flame with diff fuel typs and keeps fuel very well. i left this on for 2 hrs and only used a quarter of liquid fuel in the 20z bottle, amazing seeing as usually it would only be on for about 30mins tops in a day if i cook for breakfast launch and dinner. this product is amazing. i have burnt a number of different fuels and it works amazingly. This is a great stove that can be used in any weather. It easily boils water for 3 people in about 10 minutes.The best thing about this stove is being able to take just the amount of fuel you need. Testing the MSR Whisperlite burn time with 11oz of Coleman fuel. I was kind of surprised by the results. Kerosene has more energy per oz then white gas (Coleman fuel) and will burn longer. I may test that in the future. I think liquid fuel stoves are still a good option for backpacking, especially if you split the stove between two or three people. I really started backwards with backpacking stoves. Starting with alcohol stoves, I ended up getting tired of slow boil times, and trying to find a flat place to set them up. I just wanted something to boil water fast in any weather. I eventually bought an MSR Whisperlite Universal. 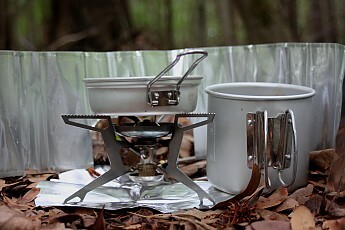 The MSR Whisperlite Universal Will boil a liter of water in about four minutes. Doing the math that equals less than 1/2oz of fuel per two cups of water boiled. Over the long run, especially in cooler weather, a liquid fuel stove can easily make up the weight difference vs an alcohol stove. Again, splitting the stove and fuel weight up between 2 or more people and the weight savings is even greater. Don't discount white gas stoves for summer use either. 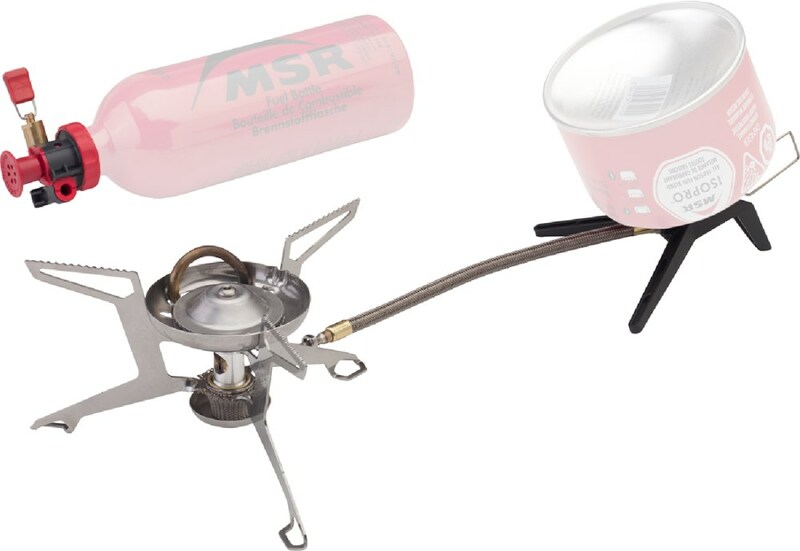 The MSR Whisperlite boils water so fast, it will boil water for three people, in the same time an alcohol stove will boil water for one. Thanks for the recent reviews, Alex! I hope you don't mind that I added your video descriptions as well to your reviews. A replacement for my MSR Dragonfly multi wet fuel stove that was too heavy. This stove is a canister/white gas/kerosene/unleaded auto fuel stove. Using three different jets it can use four different fuels. 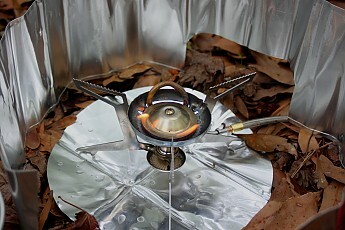 I sold my too heavy but reliable MSR Dragonfly stove after two decades of use. It was THE best simmering wet fuel stove on the planet and could thus save fuel. The MSR Whisperlite Universal meets every camping requirement except the ability of wet fuel modes to simmer. It is "heavy" by UL standards so I'll usually carry my very light canister top stove but for winter, two person and car camping this is the one. YOU TUBE videos explain in detail how to service the stove and after viewing them I bought the "expedition" servicing kit so I can do whatever is needed (mostly at home before trips) to keep it running. The inverted canister stand allows use of canister fuel down to freezing temps. As mentioned in the "CONS" section I wish most metal parts were made of titanium. I'd pay another $40 for it to go one that diet. As it is the stove is constructed (to meet a price range) as light as possible to still maintain durability for many years of use. With its modular design if anything breaks it can be replaced. GOOD OL' MSR DEPENDABLE DESIGN! Thanks for the review, 300winmag. I'd love to see some pictures of your Whisperlite Universal in your review to show off its features and construction. Do you miss having the Dragonfly also? Alicia, I sometimes wish the Whisperlite could simmer like the Dragonfly to save fuel and for baking (yes!)l. I sometimes bring a round stainless steel corrugated diffuser plate if I think I'll need to simmer in winter. That diffuser plate really does make simmering a possibility, It even has a wire that pops in the perimeter to hold the pot off the plate by 1/4 inch for baking. Yeah, more gear to carry. I'll take some snow camping photos this winter and send them in. Thanks, 300winmag. There are always tradeoffs. I'll look forward to your snow camping pics. Pure amazing! This is my fifth MSR stove and the best one yet! I had it on treks in Alaska, Washington, Maine, and Europe! Never failed to serve! Great for all elevations and climates! This is my fifth MSR stove and it's the best one yet. I do a lot of treks. I need equipment that holds up to abuse no matter where I take it. I went on a trip to Alaska with four buddies. We all split the gear. It rained 3 of 4 days. Every time we went to start the stove we had no problems. We ate like kings! I went on a 12-day trek to Europe and never had a problem even in high altitude! If you are looking for an all-around winner look no further than the MSR Whisperlite Universal. You will love this very light and versatile stove! Welcome to Trailspace, Joe. It sounds like your Whisperlite Universal has been to quite a few places. If you have any pictures of it in action on those trips, that would be great to see in your review. Overall excellent stove. Gives the user more fuel options and comes with the shaker jet like the International. Had a Whisperlite International, which I really liked. Never failed me. Then for some reason I thought I needed a simmer option so I bought the Dragonfly. Failed me on a winter outing. Got rid of it and bought the Whisperlite Universal and could not be happier. Rock solid reliability like my older Whisperlite International, but with more fuel options!! Good job, MSR! I bought this stove new in 2014 and have had several opportunities since then to make use of it. The fact that there are several fuel options is the main selling point for me. Before you go out with this stove you should definitely familiarize yourself with all of the functioning aspects of the stove. The stove comes with everything you need to make the change from fuel canisters to fuel bottles, and from white gas to kerosene or gasoline. In a lot of the wilderness areas of the vast beautiful National Forests of West Virginia you are not able to have cooking fires. In those areas you do not want to run short on fuel to cook on. The ability to swap out the jets and go grab a little gasoline if you run out of canister fuel and keep trucking is outstanding. I have also spoken with a gentleman who said that he takes it with him when he flies. Although canister fuel is a huge no-no, an empty and clean bottle will make it through TSA and then you can get some gas when you get there. The gasoline option does put off more residue and black gunk but still cooks very well. Although this stove is not as small and compact as the other canister stoves on the market (while still compact, it will not fit into GSI cooksets) the many options and great heat output that this stove gives you more than makes up for it. The stove is not hard to setup and priming the stove is simple. Changing the jets is not hard and the manufacturer gives you several online supplemental videos to help anyone become familiar enough to rebuild this stove and make the jetting changes. The fuel line is a bit stiff and makes it so that the stove does twist over if no pans are on it. So far it has not loosened up. Overall I absolutely love this stove and the many options that come with it. Thanks for the review. How is the noise level on this stove? Thanks for your review, Scoutmaster. Got any pictures of yours you could share in your review? 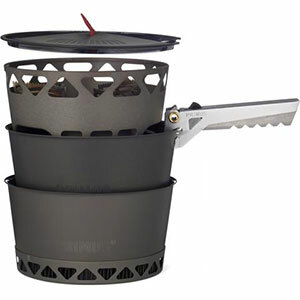 The WhisperLite is one of the most versatile, light, and durable liquid fuel stoves on the market. From its hose to its frame, it was built for the outdoors. Had it forever, still stands the test of time, always lights. When this came out it was the staple in backpacking stoves. I know there have been exciting innovations and I am weight conscience, but this thing has never failed me. Take care of your gear and it will last you forever. Portable, easy setup, and versatile. Multiple fuel capabilities gives this the edge over compatible stoves. Love this stove. I can use canister fuel or liquid (Coleman fuel). I haven't tried to use gasoline or kerosene. Easily fits into a Maxpedition or Condor water bottle bag with a GSI cup/pot set.